Screechers Pix is dedicated to developing and producing quality entertainment content that reaches out and captures an audience through innovative ideas on multiple formats, spanning a variety of genres. Currently, Screechers Pix clients are Endemol, CBS, NBC, ABC, CW, Lifetime, Discovery, Nat Geo, TNT, and TruTv. The company is working to expand into distribution of TV content, both domestic and international. Several teams of women race across the country with one goal in mind: to get healthy. A global talent search for America’s most talented Servicemen and Women. 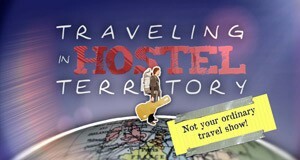 Our irreverant host, Isaiah Macmenami hostel-hops around the world! Produced in collaboration with Pat Finn and Rubicon Entertainment. 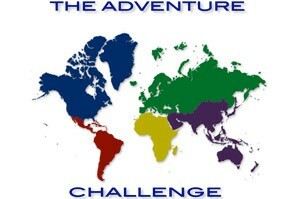 A traveling reality game with BIG challenges and even BIGGER rewards! An international challenge that culminates history, adventure and reality as mankind’s hubris is put to the test. A colossal contest of tension, suspense, and dubious family dilemmas over the value of revealed Lost Cargo. Music’s most legendary collaborations in a hip-hop extravaganza packed with pressure-filled competition and high stake industry make-or-break opportunities. The blockbuster contest combining all the necessary attributes of a celebrity superstar but challenging the average day person to transform into a Star Duster. Produced in collaboration with Deanna McDaniel and Clara Luna Productions. With unprecedented access to the U.S network of emergency services, Spec-Ops takes the world’s biggest paralyzing disasters and puts the pieces back together. Produced in collaboration with Randolph Mantooth and Pipeline Productions.